The $1 trillion firm’s new watches can detect falls and heart conditions, making them a useful gift for grandma, as well as hypochondriacs everywhere. Meanwhile, aesthetic appeal and better cameras should be enough to convince many users to pay up for an improved phone. 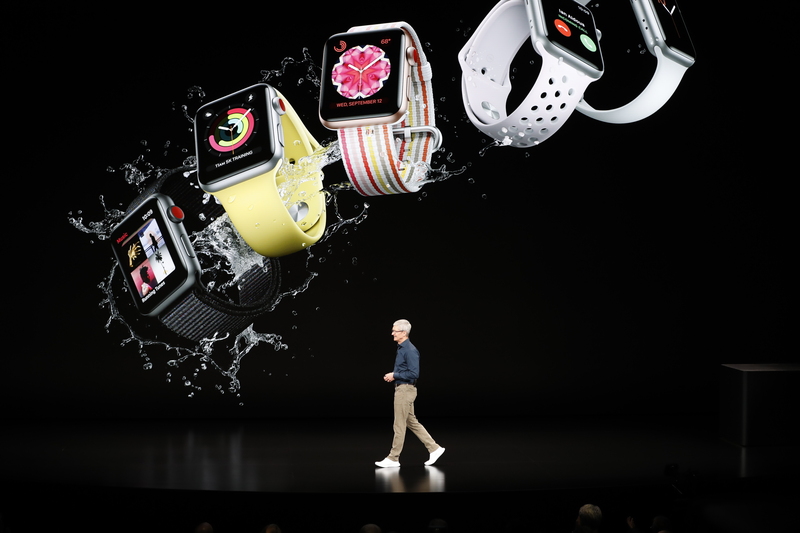 Tim Cook, CEO of Apple, introduces the new Apple watch at an Apple Inc product launch event at the Steve Jobs Theater in Cupertino, California, U.S., September 12, 2018. Apple unveiled new iPhones and watches on Sept. 12. The new phones are the XR, with a 6.1-inch screen, the XS, with a 5.8-inch screen, and the larger XS Max, with a 6.5-inch screen. The XR starts at $749, the XS starts at $999 and the XS Max starts at $1,099. The company’s series 4 watches can now detect a user fall, generate an electrocardiogram, and send an emergency message to doctors or emergency contacts. The U.S. Food and Drug Administration has approved the electrocardiogram feature.